Welcome to Day #3 of Chocolate and Strawberry Theme Week. Today's Strawberry Passion 78% Raw Dark Chocolate bar was made by Chocolita (Sedona, AZ). 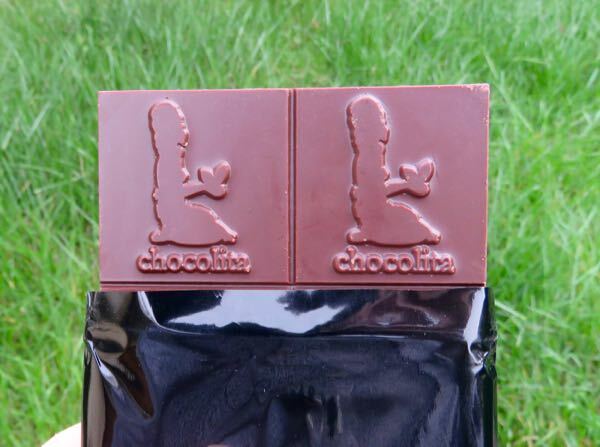 The company makes a series of raw, dark chocolate bars with herbs. The herbal ingredients in this Strawberry Passion bar were less off-putting than some can be, making for a more enjoyable tasting experience. 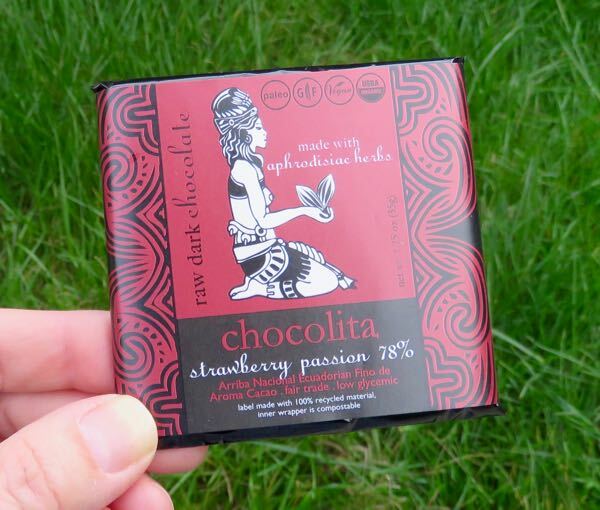 The gluten-free, vegan, fair trade, low-glycemic, chocolate was made with Arriba Nacional Ecuadorian Fino de Aroma Cacao and had a light strawberry fruit note. 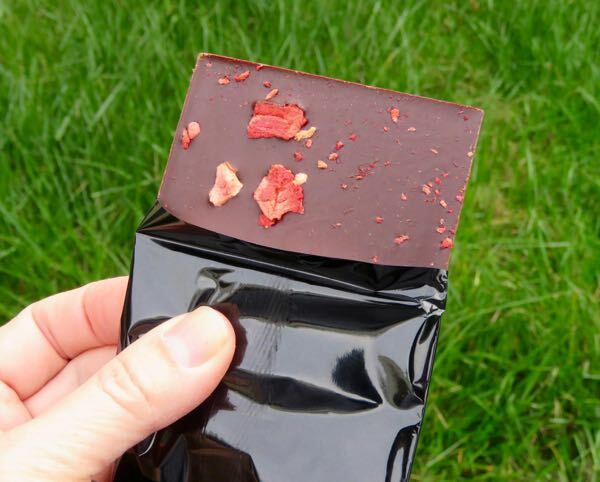 Attractive bits of strawberry could be found on the back of the bar.